The power of water has long been used by the residents of Glossopdale. Since the middle ages water has been used to turn millstones, and water wheels for fulling woollen cloth – the process of cleaning and thickening wool and removing oils. Until the mid 18th century such work was undertaken as part of a cottage industry, and the domestic textile industry was a truly family affair. 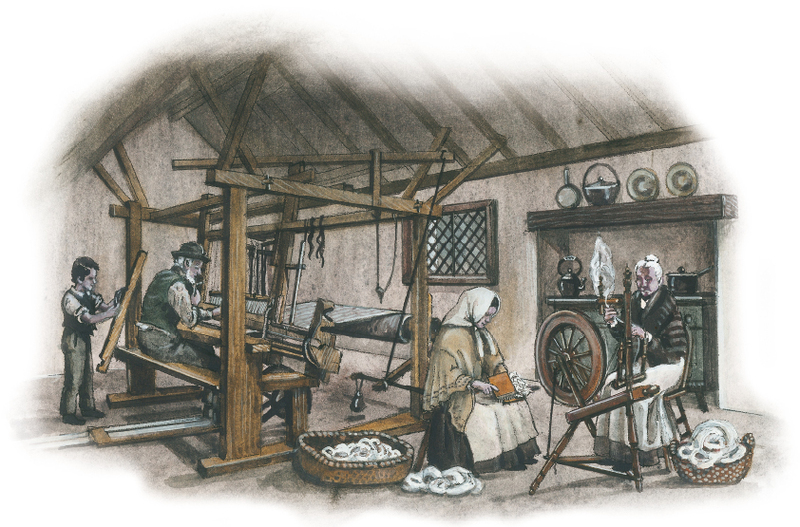 Older girls and women – or spinsters – spun thread from wool carded or straightened by the younger children and the thread was woven on hand operated looms by the men and older boys. The first signs of a ‘factory industry’ are evidenced in only one such surviving building from this early period; Rolfes Mill on Wesley Street. These small businesses would have employed several domestic spinners on a range of processes. By 1820 several mills had been built on and near Shelf Brook in Old Glossop. In 1821 John Wood leased three mills – Thread, Barrack and Water Mills – that once stood on the field beside Hope Street. To improve the fortunes of Water Mill he renamed it ‘Waterloo’ after the successful battle in 1815. Barrack Mill went by four other name during its lifetime, before it was burnt down in 1875. 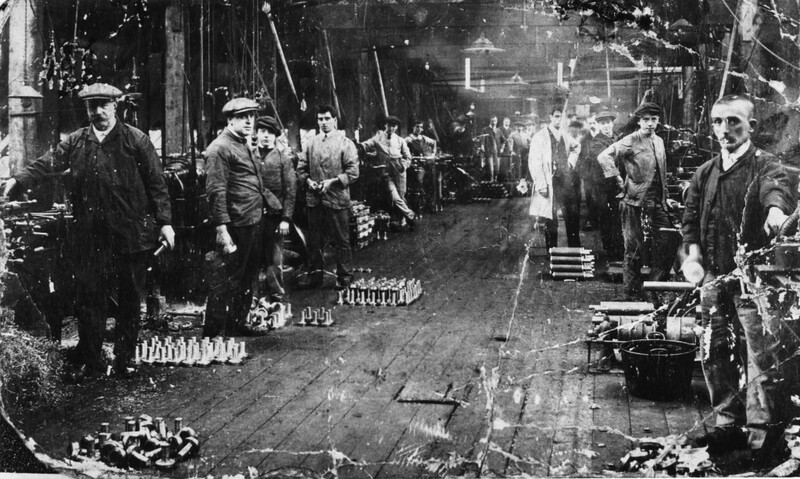 Within 10 years Wood had moved on to bigger and better things, leasing the huge steam-powered mills in Howardtown – now Glossop. In 1833, Mr. Abraham Broadbent took over Thread mill. He made bobbins, hat tips and doubled yarn for hand loom weavers. Every week he travelled to Huddersfield, carrying his work on his back. This letterhead shows the extent of Meadow Mills, which ran along Shepley Street. Although the worker’s cottages have long since gone some of the original buildings of this former cotton mill still remain. James Starkie’s mill was built on Blackshaw Clough towards the end of the 18th century. In 1792 it was renamed Hawkshead Mill and was occupied by Benjamin Rolfe as a textile mill when his original premises on Brookside (Wesley Street) became too small. Typical of a lot of mills in old Glossop, Hawkshead Mill changed hands and by 1895 it had been extended and was run by Issac Jackson. Although a shoemaker and sadler by trade he devised an efficient fastening for mill machinery drive belts and manufactured nuts and bolts. During the First World War, when the mill was used as a munitions factory, Jackson invented a more effective fuse for British artillery shells. After the war he bought the rights to the mill from his landlord Lord Howard and gifted his ideas to the Borough of Glossop.